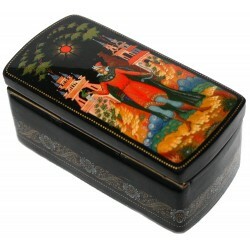 This attractive Palekh box was created by Ivan Beketov. 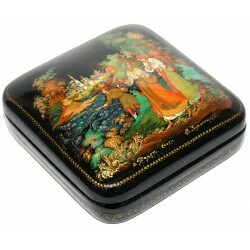 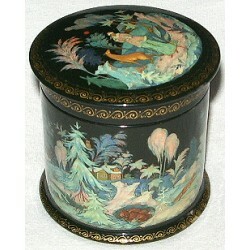 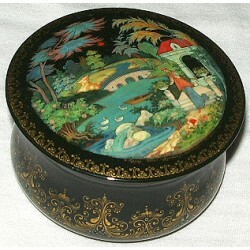 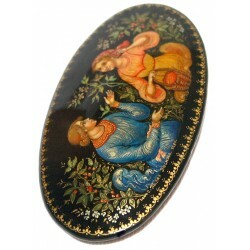 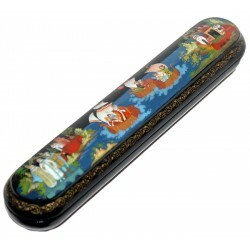 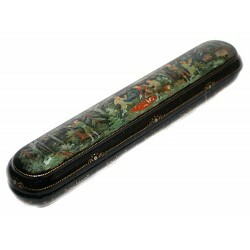 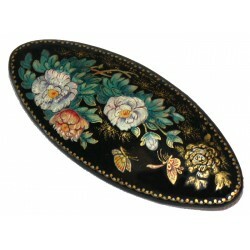 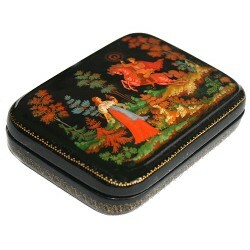 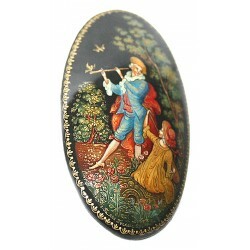 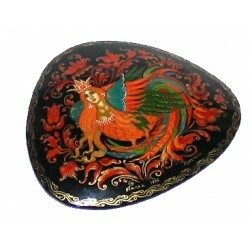 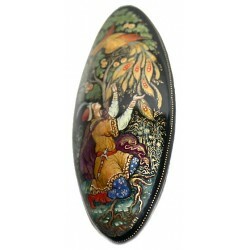 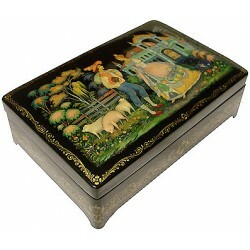 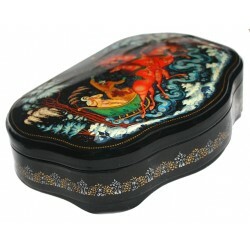 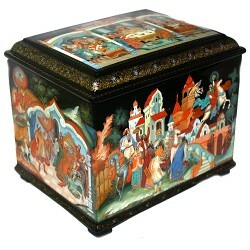 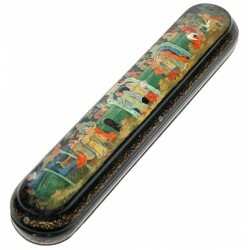 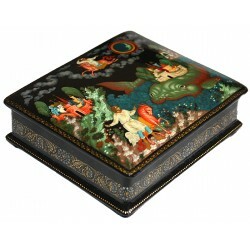 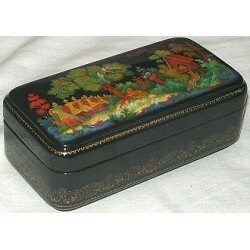 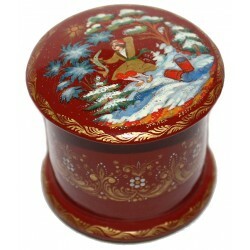 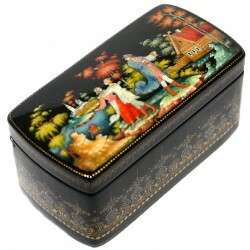 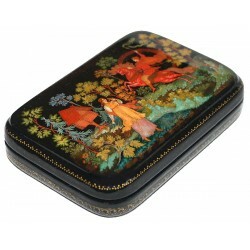 Yevgenia Shatokhina of Palekh is the artist who painted the composition on this box. 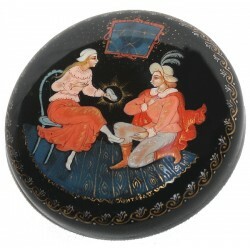 Yevgenia (or "Zhenya" for short, as she signs the piece) has a beautiful style that is classic Palekh, but at the same time exhibits a unique flair.